Colorado Springs, CO Truck Accident Attorney | WM Andrew Wills II P.C. When commercial trucks collide with other vehicles or travelers on the road, the outcomes can be catastrophic, if not deadly. Such devastation, which can have long-term impacts on victims and families, is commonly caused by the negligence, carelessness or recklessness of some party. What victims can do to seek financial recovery and hold the negligent party accountable. Colorado Springs Truck Accident Lawyer Wm Andrew “Drew” Wills II is ready to examine the details of your wreck and explain your rights and options. He represents both the survivors of truck wrecks and families who have lost loved ones to deadly crashes. Who’s Liable for Truck Accidents? Others, such as the parties responsible for constructing or maintaining safe roads. In some cases, only one of the above parties will be liable. In others, a combination of these (and/or other parties) can be at fault for a wreck and, consequently, responsible for compensating victims. A truck accident can leave you hurt, disoriented and distressed. 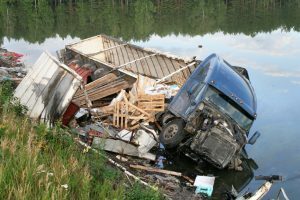 If you know what actions to take after a truck wreck occurs, however, you can start taking the right steps to protect yourself and preserve the strength of a future claim. Get out of harm’s way and call police. Wait at the scene and assess your injuries and/or the injuries of the other involved parties. Get checked out by emergency responders (and/or by your own doctor) as soon as possible. As you wait, exchange contact, driving and insurance information with the other involved motorist(s). If there were witnesses to the crash, get their names and contact information. Take as many pictures of accident scene and crash-related damage as possible. Only disclose the facts of the accident. Do not admit blame or apologize for the crash. After you leave the scene, write down a detailed account of what you remember happening before, during and after the truck wreck (so these details don’t get misconstrued or forgotten with time). Report the crash to your insurance provider, again only disclosing the facts of the accident. Contact a lawyer to discuss the available legal remedies and your options for proceeding. Handle everything necessary to position your claim for a successful outcome and the maximum available compensation. Experienced Help Is Only a Call or Email Away: Contact a Colorado Springs Truck Accident Lawyer at Wills Law, P.C. Colorado Springs Truck Accident Lawyer Drew Wills II is ready to discuss your potential claim. Call (719) 633-8500 or email him (via the form on our Contact Page) to schedule a consultation and get essential information about your legal options. In most cases, initial consultations are free. With more than 30 years of success & experience in truck accident cases, Attorney Drew Wills II has a deep understanding of how to help injured people successfully navigate the civil justice system so they can secure the financial recoveries they deserve. Known for his professionalism, experience and integrity, Drew is a highly competent attorney who will provide you with respect, personal service and the highest quality legal services. From offices based in Colorado Springs, Attorney Drew Wills II represents clients throughout El Paso County and Colorado.